The PTAB denied Unified Patents’ petition to institute IPR further validating Grecia’s ‘860 Patent as protecting innovative digital rights management. 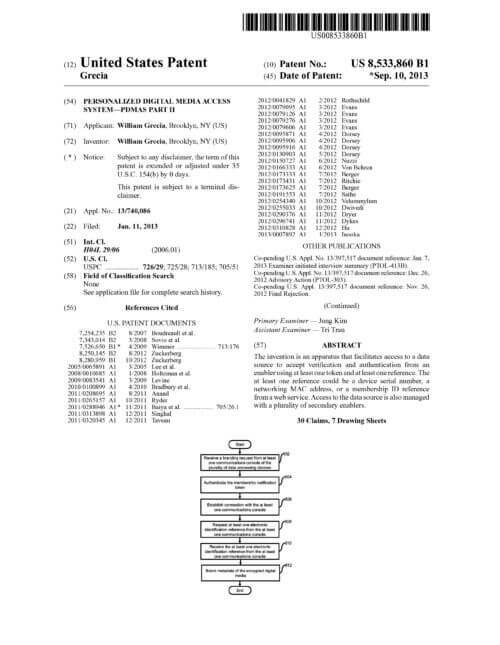 On February 17, 2016, Unified Patents filed for inter partes review (IPR) of U.S. Patent 8,533,860 owned by Richards Patent Law client William Grecia (the ‘860 Patent). The ‘860 Patent is one of the key patents in Grecia’s digital rights management patent portfolio, which RPL has helped Grecia license to many of the world’s most well-known and well-respected technology companies. An IPR is used to challenge the validity of a U.S. patent and is most typically used by defendants in patent litigation cases to attack the patent being asserted against them. In this case, Unified Patents petitioned independent of, but for the benefit of, its members currently involved in patent litigation involving the ‘860 Patent. A request for the PTAB to institute an IPR by a third-party against the patent owner. An optional response by the patent owner. A determination by the PTAB whether to institute the IPR. Then, if the IPR is instituted, the review is conducted with input from all parties. If the IPR is instituted, a decision by the PTAB as to whether the patent claims remain in force. In its petition to institute an IPR, Unified Patents argued that the ‘860 Patent was invalid based on a number of patents that came before it, including an earlier digital rights management patent from Microsoft. On August 16, 2016, in response to Grecia’s preliminary response, submitted by RPL attorneys Patrick Richards and Clare Frederick, and drafted with significant input from trial counsel Matthew Wawrzyn, the panel of judges at the PTAB found none of Unified Patents arguments persuasive and determined that Unified Patents had not demonstrated a reasonable likelihood that they would prevail on any claims against the ‘860 Patent. Accordingly, the PTAB denied Unified Patents’ petition to institute IPR further validating Grecia’s ‘860 Patent as protecting a uniquely innovative invention in digital rights management.